I know I always advocate selling on things you are done with to avoid clutter and make a few pennies. But some things are very precious and need to be stored away carefully for memories days and grandma days. My children have both started school now and I have begun to finally make some decisions about the mass of baby stuff I originally wanted to hold on to. The things I am definitely keeping hold of include the following…. 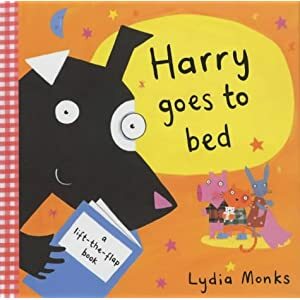 We must have red Harry Goes to Bed over 100 times giggling as we lifted the flaps. Wonderful story and characters and the drawings are so gorgeous. I could never part with this. They are just so perfect and they just take you right back don’t they? I am going to keep just one for each child and wonder for ever that they were once so tiny. Some early paintings just have to be kept. I have to hold on to an image of that tiny hand that would curl a fist around my finger. I have laminated these pictures to keep them safe. It’s French tiny and absolutely classic. Worn just once or twice but so perfect. My son’s first shoes were little, pale blue and with a car on and of course super sensible. I remember buying them too, feeling sad the baby days were over and yet so proud he was now a toddler. Each stage seems to have its share of loss and celebration. Both blonde and curly haired as babies my two have their first tiny locks wrapped up safe for who knows what, kept for posterity by a sentimental old mummy. I received Tiny Tears on my fourth birthday I slept cuddling her till I was about 12. I told her everything. I never put her away till I went to uni. Mum sent her to the dolly hospital when Annalise was born and had her fixed up. She has played in the bath for the last few years but now she is no longer wanted. She is going nowhere! I will put her away carefully till I am a Grandma then do just as my mum did….she’s part of my family. What would you save from the baby days?